Here at the Pit Stop Smokehouse, we specialize in providing a catered experience that will impress you and your guest. Aside from award winning BBQ, we can even do the old classics such as Chicken Marsala, Baked Stuffed Haddock, Chicken, Steak or even pasta. Please contact us so that we can customize a menu for you. 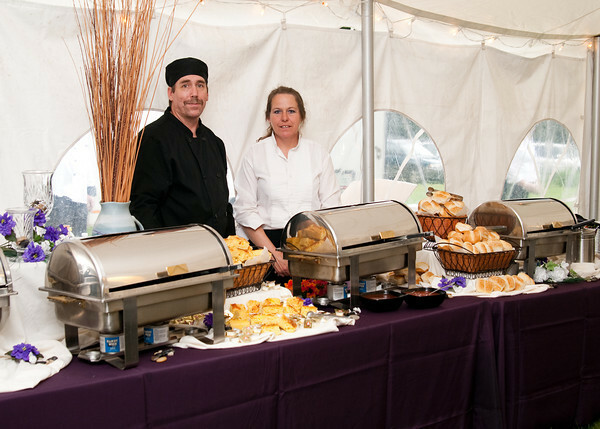 We have catered events large and small, so whatever your needs are, we are sure to accommodate. Please contact us today for more information! $15.99 per person, plus 9% State of New Hampshire Rooms and Meals tax and 25% service fee for wait our staff. Catering includes your choice of 2 meat items, 2 sides and corn bread. Also includes your choice of lemonade & ice tea or coffee & tea. Each additional meat is $3.00 more per person and each additional side is $1.79 per person. Other fees may include mileage, cake cutting and other staff depending on location and staff requirements. Meat Choices Include, Pulled Pork, St. Louis Style Pork Ribs, Brisket, Smoked Turkey, Smoked Ham, Variety of chicken. Sides Choices Include, Pasta Salad, Potato Salad, Cole Slaw, Roasted Potatoes, Roasted Garlic Mashed Potatoes, Grilled Vegetable Medley, Garden Salad, Baked Beans, Caesar Salad, Corn on the Cob and Fruit Salad. If there is something else you may be looking to have, please feel free to contact me and we can make an appointment and go over some menu ideas for you. can cut in half 2 pcs breast and leg. For more information on our Catering Menu, please click the button below.